Are there good reasons for buying a new home as opposed to purchasing an older building or pre-owned house. 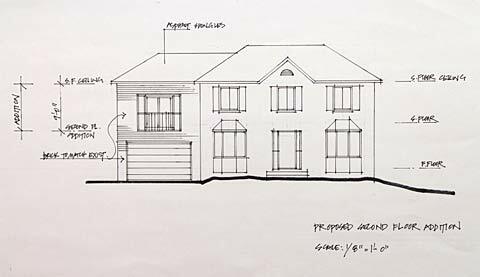 New houses or off the plan houses can prove to be a great way to get a home that fits your needs, but it can also prove a challenge due to the huge amount of laws and regulations in the UK. Today we look at some areas to be aware of when buying new. Buying a new Home - then beware! You may not always get what you thought was included in the price. Often the wording can be very clever to get your commitment. But what is included in the kitchen appliances? If the housing market is starting to recuperate the incentives for out of pocket expenses may not be as favorable as the time when buyers are in short supply. Often times major appliances such as refrigerators, dishwashers and washer/dryers still have to be purchased by the home buyer. Are curtains, major appliances, lawn irrigation system, and ceiling fans included? If you decide to plan the dream house, it may be hard to make decisions unless you really know what you want. This often comes from experiencing living in a few houses before hand. How could you really know what you consider to be the perfect home unless you have experienced a few layout variations.